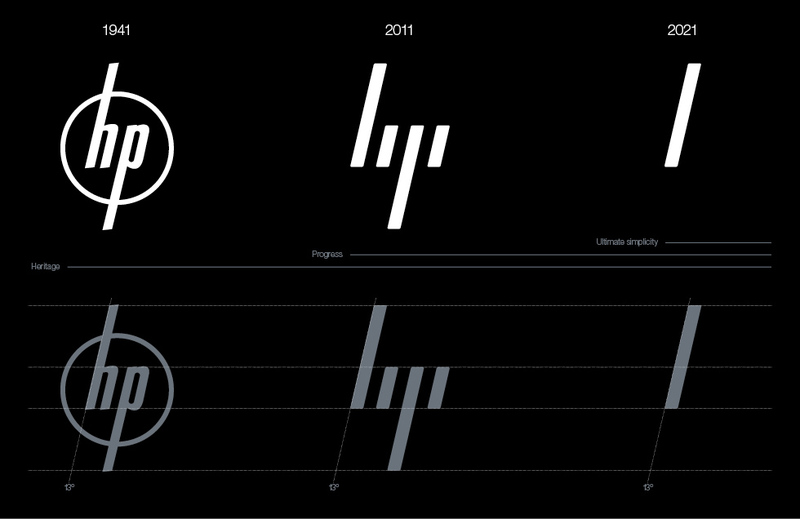 The HP Logo has been redesigned by firm Moving Brands. It’s a rather bold simplification, and one that unties HP from a wordmark, and establishes a recognizable logomark. 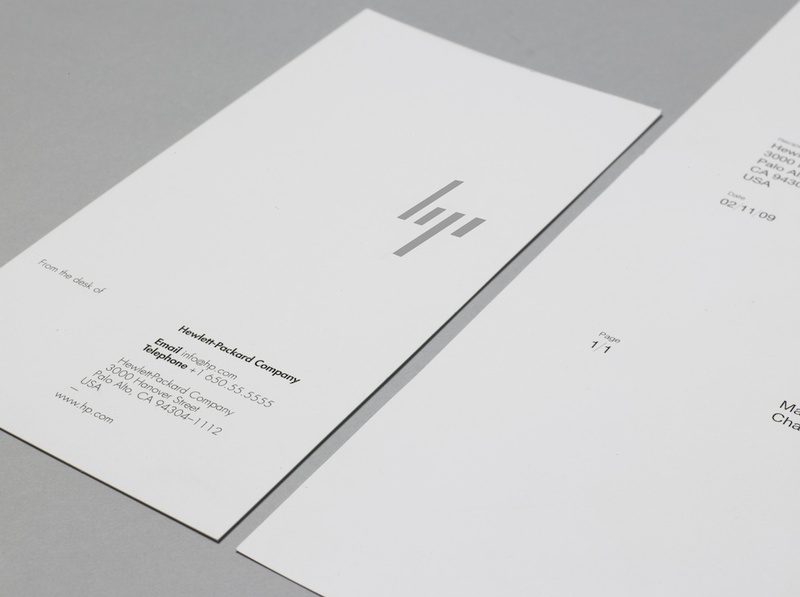 Set at a 13° angle, supposedly the same angle used in the original logo, HP’s new identity takes a big cue by that specific slant, influencing everything from retail environment to business cards. 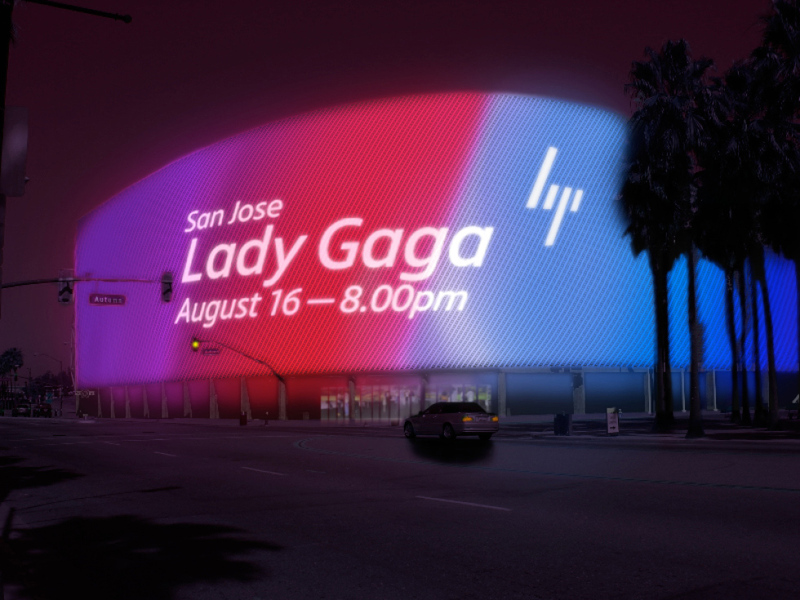 Moving Brands partnered with HP as their lead agency to set a creative vision for the HP brand. The vision was to transform the world’s biggest technology company into the world’s most powerful brand. 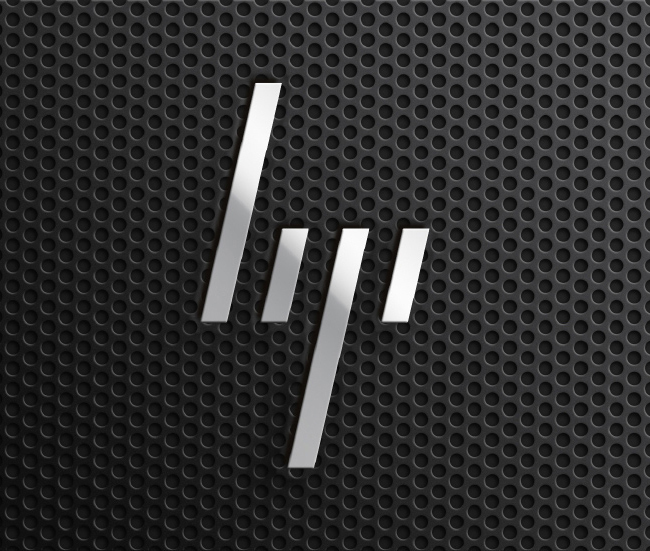 HP would become the blueprint of a moving brand, built for a moving world. 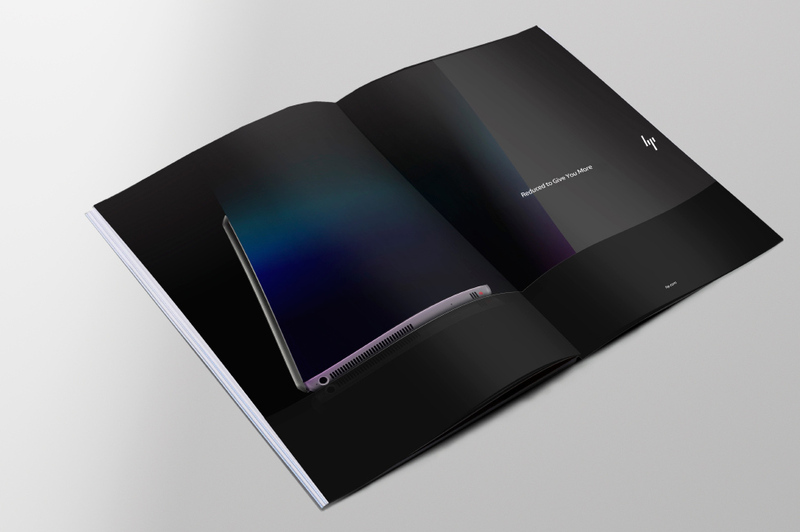 When we began working with HP, their offer was unparalleled, with the broadest portfolio of all their competitors. From services to servers, printing to networking, storage to mobility and far beyond, HP have lead the market in almost every category in which they operate. However, HP had lost its forward leaning culture after over 50 acquisitions in the past five years. The once iconic brand was deemed dull and lifeless by consumers and business customers alike. The power of the portfolio could only be fully leveraged by aligning it under a single-minded story that could rally various businesses and over 300,000 employees world-wide behind a unified strategy and behaviours. As with all powerful brands, HP needed a strong story at its heart. A story that would embrace the proud heritage of a Silicon Valley pioneer but lean forward to the future. HP was founded on the belief that technology will improve people’s lives, and HP should always aspire for better. This founding principle was unearthed through co-creation workshops with the key stakeholders across the business groups, the HP Labs, product design and insight groups. It was articulated as ‘Human Progress’. The story was further supported by a set of character differentiators and behaviors unique to HP. This iconic brand ought to be digitally native, context-aware and ever evolving.